Hillary Rodham Clinton was all smiles when she was photographed at The Late Show With Stephen Colbert yesterday in New York City. 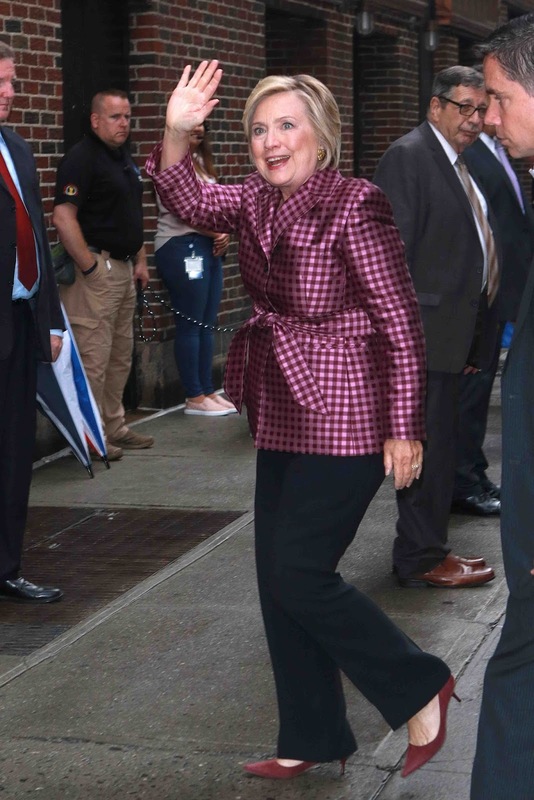 Hillary was in town to promote her new book "What Happened". Having met this lady many times, we just are amazed by her. She is a gem!